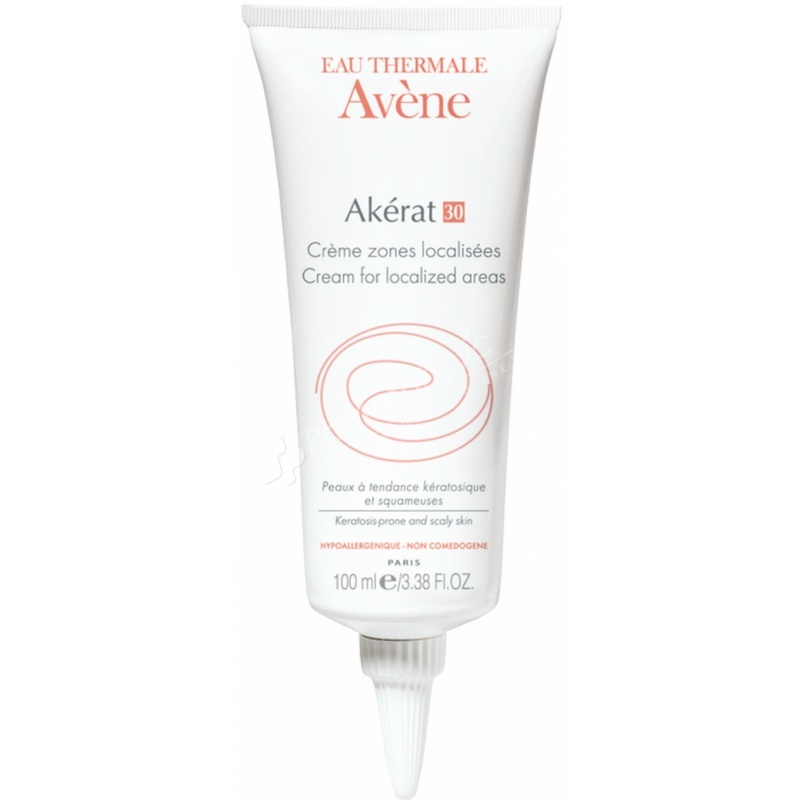 Avène Akérat 30 Cream for Localized Areas has been specially designed for a targeted action on keratosis-prone and scaly skin.Its high concentration in Avene Thermal Spring Water has a soothing and anti-irritant effect. Rich in Avene Spring Thermal Water, it restores all its alleviating and anti-irritating properties. The association reinforced in hydrating, emollient and kerato-reducing agents enables to make skin flexible again while compensating for the cutaneous dryness, by eliminating the unaesthetic squames and reducing the thickened areas of the cornea layer. Skin Type: Squamous skins, keratosic skins. Body, scalp. Adults and children above 3 years-old. Hypoallergenic and non comedogenic. Body: Apply once to twice a day in soft massages to the localised zones. Scalp: can be used onto dry and non-washed scalp. Apply using the nozzle-tip, let it work for several hours, all night long if possible. Rinse and proceed to the shampoo. Avene Aqua, Urea, Propylene Glycol, Paraffinum Liquidum, Cyclomethicone, Polyacrylate-13, Triethanolamine, Prunus Amygdalus Dulcis Oil, Salicylic Acid, Polyisobutene, Lactic Acid, Phenoxyethanol, PEG/PPG-18/18 Dimethicone, Polysorbate-20, Sorbitan Isostearate, Tocopheryl Acetate, Aqua.